Cold War Kids is an absolutely amazing band, one of my favorites. 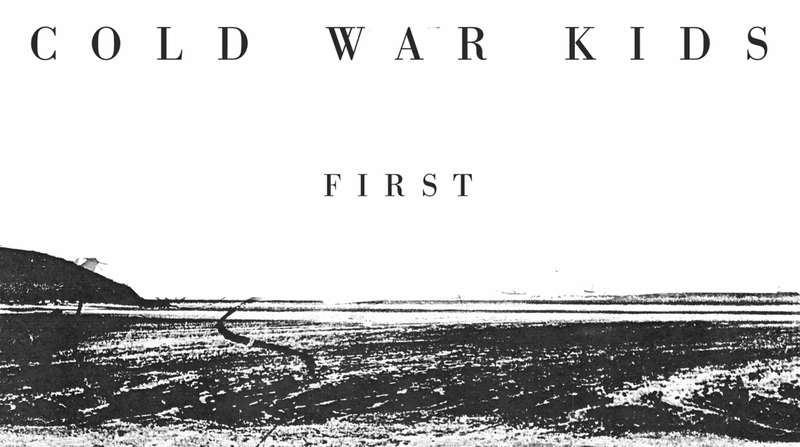 Their song “First” is what first got me interested in them and I listen to it almost every day now. First is a beautiful, but terribly sad song. When listening to this song it is impossible not to feel an emotional connection in some way. In great metaphors and word plays, never actually saying what it truly means, First describes relationships. The song talks about cheating, breaking trust, how every relationships are repetitive, how someone will eventually hurt you no matter what, and that it is unavoidable. Yet, the remarkable thing about this song is it feels happy, it feels bouncy, you want to sing and smile to it! It could be the catchy stomp-clap beat, the high guitar piece, or even the feeling behind the clear but powerful voice of the singer… Either way, despite the depressing lyrics this song makes you strangely happy.